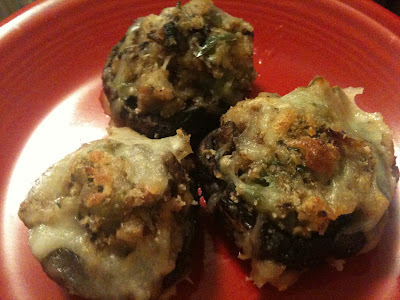 I threw this together one night when I couldnt find a recipe for stuffed shrooms and my internet was down. They are meatless yet fabulous! 3. 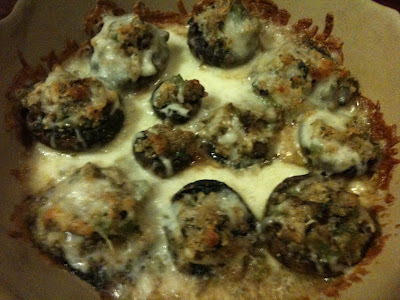 Pour 2T melted margarine over shrooms, sprinkle with mozzarella cheese (however much you want... we make ours very cheesey, but a little will do. I could eat every single one of them all by myself.